Ever wondered how to backflip on skis? 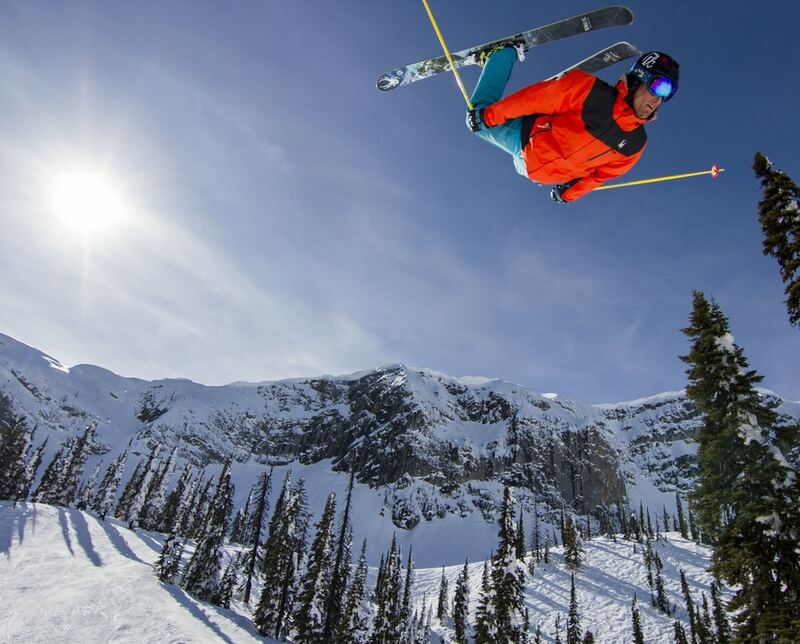 Take a few tips from Powder7 athlete and pro skier Owen Leeper. Owen, who goes by @o_leeps in the Instagram world, is known for throwing massive flips off some of the biggest and most aesthetic airs in the Jackson, Wyoming area. His advice for how to backflip on skis? The best way to start learning how to backflip on skis is to go to a trampoline park or gymnastics gym or diving board. Practice backflipping without skis and getting used to the feel of the move. Practice committing to the flip, flipping straight, and spotting your landing. When you’re ready to take it to snow, Owen recommends finding a good spot in the backcountry. Leeper’s favorite trick: big, huge backflips. Build a smooth jump that angles to about a 30 degree takeoff, and make sure you have a soft, downhill landing. Stop out and smooth down the in-run, and make sure the transition to the up ramp is smooth rather than abrupt. When you’re ready to start hitting the jump, practice popping (not too early! ), and setting your flip by throwing back and looking for your landing. Pull your knees up to accelerate the spin, and deploy the landing gear once you’ve come around through the flip. Practicing over and over in a safe, secluded spot will give you the best chance of learning to stomp your backflips over and over. Once you can do that, take them to bigger airs and/or to the terrain park. See Owen Leeper in action during Jackson’s deepest February ever.